This paper examines the use of the Persian language in Southeast Asia as a lingua franca between the 16th and 19th centuries, examining the principal stylstic and linguistic features of docments from Malacca, Aceh and Burma. These documents suggest a wider use of, and knowledge of, Persian in the region than is generally appreciated. The documents also show many local features and the influence of Malay. PEACOCK, A.C.S.. NOTES ON SOME PERSIAN DOCUMENTS FROM EARLY MODERN SOUTHEAST ASIA. SEJARAH: Journal of the Department of History, [S.l. ], v. 27, n. 1, aug. 2018. ISSN 1985-0611. 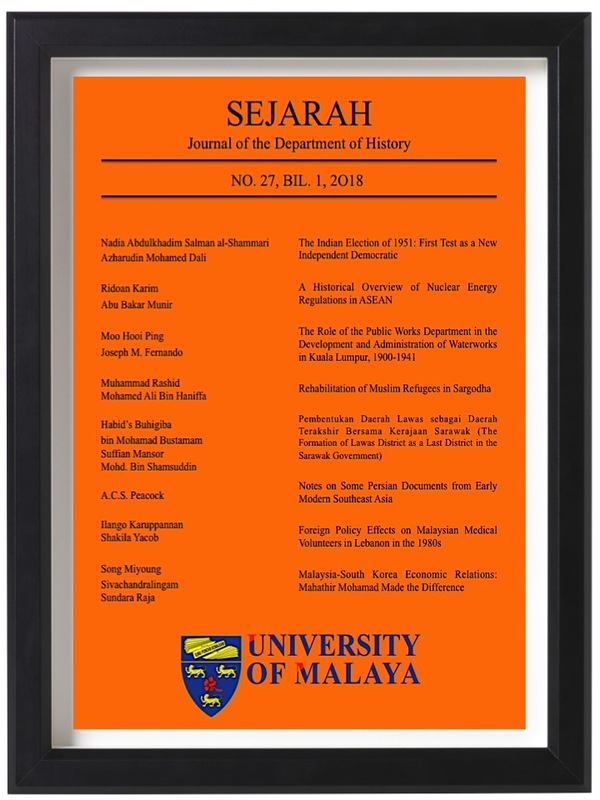 Available at: <https://ejournal.um.edu.my/index.php/SEJARAH/article/view/11691>. Date accessed: 22 apr. 2019.